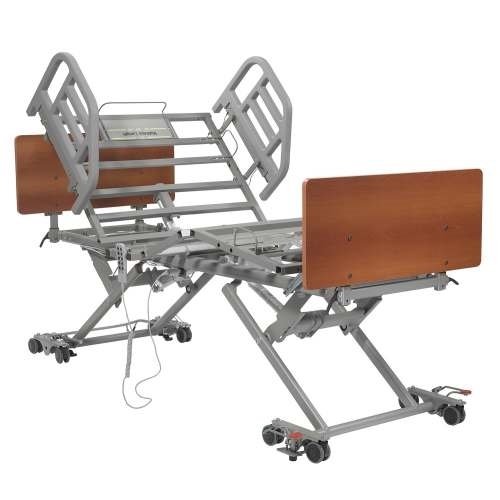 Prime Care Long Term Care Bed P703 is a Full-Electric Hospital bed with 500 lbs. weight capacity, 4 function hand pendant, auto-contour positioning and optional embedded Staff Control. P703 Long Term Care Bed is a LOW Bed with 7" - 30" deck height range. 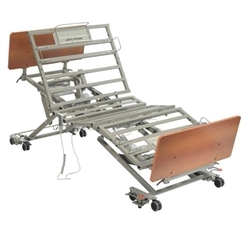 Width & length can be configured for several hospital bed sizes up to 42" wide and 84" long. Bed can be configured for a perfect patient fit. Recommended maximum patient weight: 475 lbs. The standard P703 is 36" wide. 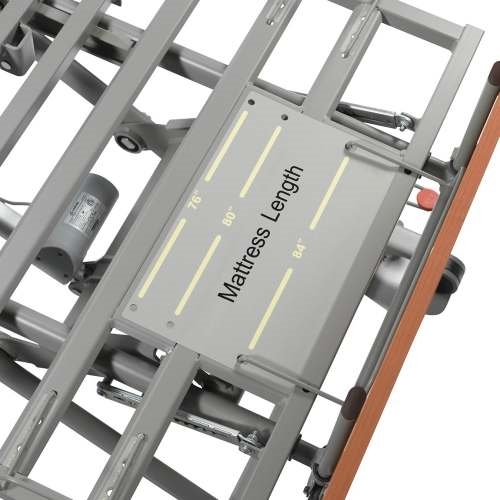 Optional width-extender allows 39" - 42" for a wider mattress. Select head/foot board size at time of ordering. If you purchase the Width Extender P703WE and plan on setting the bed at 42" width, you should be sure to order the 42" wide bed ends. 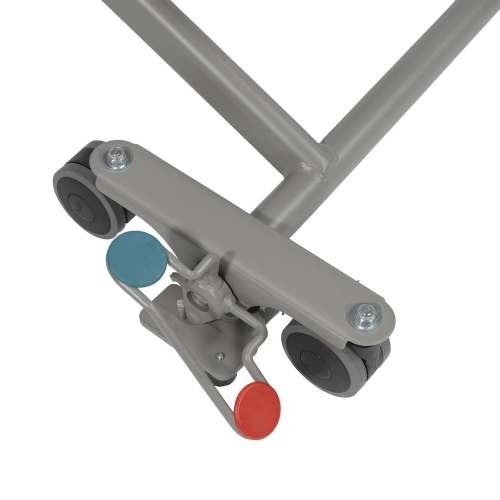 Head, foot, and bed height operate with quiet electric actuator motors. 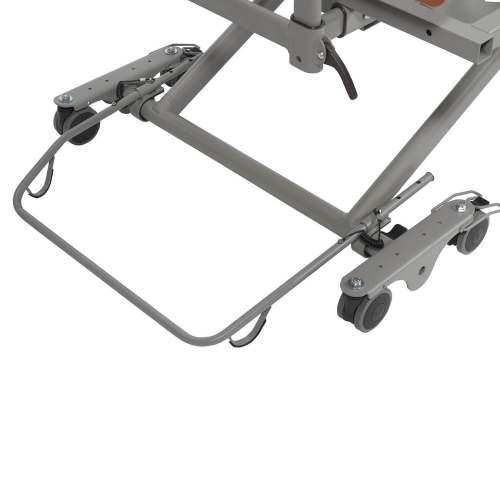 Easy to use hand pendant and optional Staff Controls embedded in footboard with Trendelenburg & Reverse Trendelenburg and Cardiac Chair positioning. 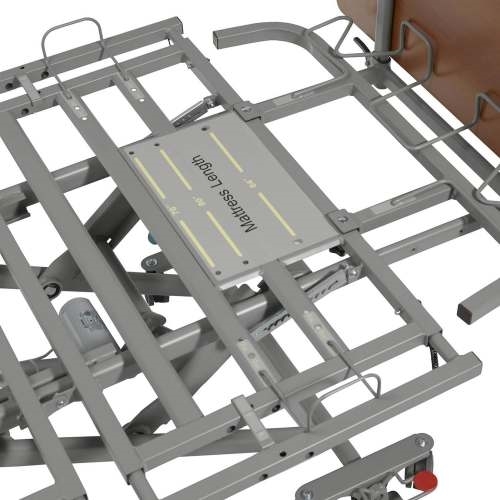 The P703 features a pedal operated floor lock braking system. 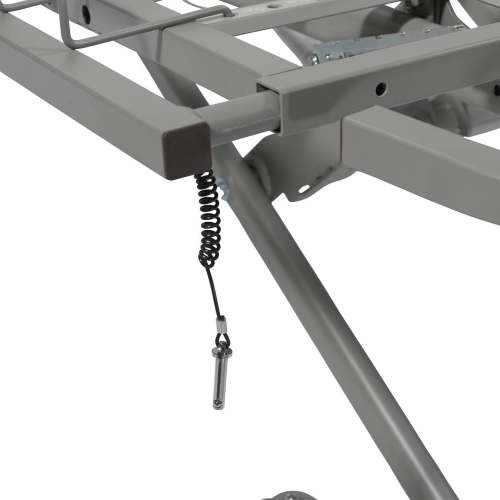 Two-way pedal floor lock system keeps bed securely in place when engaged. Color Coded, Braking System. Easily activate or deactivate the foot pedal brakes with minimal effort for added safety. Overall Length (without wall bumper) (X1) 83",87",91"
Length of Mattress Deck 76"
Optional Width Extension 39" - 42"